Can’t say when I enjoyed a story more! Historical romances are my favorite and THE GOOD, THE BAD, AND THE DUKE by Janna MacGregor was one I truly enjoyed. Lady Daphne Hallworth was ready to celebrate the holidays with her family but all the participants left assuming everyone had a ride. At first quite piqued that she was left home alone, Daphne uses the time to work on her dream—opening a home for unwed mothers. Taking a bit of time out for a walk, she sat in the park and thought to make some notations in her very private journal, when a young pickpocket grabbed her reticule with the journal in it. Giving chase she ran into her brother’s best friend-turned-enemy, Paul Barstowe, Duke of Southart. Her personal journal holds secrets that could devastate her family. Daphne has always harbored private feelings for the man her family scorns…though perhaps striking a bargain with the handsome Duke will solve both their problems? Paul, long considered good for nothing, aims to open a hospital to honor his brother and restore his reputation. So when a conflict over the land, which Daphne wanted for her Home for unwed mothers, brings him straight into Daphne’s life, they make a deal: He will help her find her diary if Daphne can change her family’s opinion of him. Lady Daphne has held a tendre for Paul for most of her life, and in spite of the conflict between her brother and his once best-friend – Daphne still held him in her heart. Amidst lots of scenarios between Daphne and Paul while he does his best to protect Daphne from ruin as her stubbornness of wanting to retrieve her journal leads her to several locations a lady never should be in, their passions ignite. And in trying to turn over a new leaf, will Paul’s efforts to help turn her brother into wanting to call Paul out! Since her husband’s passing, Elizabeth Overfield has been thinking that she is about ready to enter into another suitable marriage. However, after she meets Baron Colin Handrich, Lord Hodges, at the Westcott Christmas house party she wishes she weren’t so old. Elizabeth simply enjoys his company as they listen to carolers on Christmas Eve, walk home from church together on Christmas morning, and engage in a spirited snowball fight in the afternoon. Both are surprised when their sled topples them into a snowbank and they end up sharing an unexpected kiss. They both realize that any relationship between them, would be fruitless for she is nine years older than he. Returning to London the following Season, both were dedicated to find more suitable matches, but they also agreed to share one waltz at each ball they attend. This innocuous agreement proves to be one that will topple their worlds, as each dance steadily ensnares them in a romance that forces the two to question what they are willing to sacrifice for love. As is with all books by Mary Balogh I immediately fell in love with Lady Elizabeth who is portrayed as the kindest and warmest kind of person whom I would want to be her friend. And Colin, of course, was the sweetest and most charming of characters so kind and caring. Bittersweet at times but really the best kind of tome to curl up with and savor the romance. London banker Quinn Wentworth is facing execution, for a murder which he is being framed for. But, before the floor drops out of the gallows he’s declared the long-lost heir to a dukedom! Quinn has fought his way up from the vilest slums, and now he’s ready to use every dirty trick he knows to find the enemy who schemed against him. Except for one tiny problem! Thinking he was on his way to the devil, he had married Jane Winston, the widowed, pregnant daughter of a meddlesome prison preacher. Quinn, believing his days numbered, offered Jane marriage as a way to guarantee her independence and provide for her child. Neither thinks they’ll actually have a future together. And that is where the fun begins. One thing you can expect from Grace Burrowes are different scenarios which I have found are a trademark of this brilliant author. And MY ONE AND ONLY DUKE the first book in this new series introduces us to the unconventional Wentworth family which I predict is going to be a winner! Quinn is now an even wealthier gutter rat out for vengeance. Jane is a minister’s daughter who must turn a marriage of desperation and convenience into a proper ducal union. Add to that Quinn’s two sisters, and younger handicapped brother who were just as hungry for payback as Quinn for the dastardly person who framed their brother and Jane had her hands full. With some training, albeit not in a role as a duchess, Jane had the task of turning this unusual household into a refined ducal residence as well as teaching Quinn that love and trust were part of having a real marriage. A fantastic page turner that you do not want to miss. Loch Collin just wants to raise his precious daughter, be near his family and his best friend Ainsley Harris and keep his past at bay. Unfortunately pasts always find a way of coming back to haunt people and his put not just himself and his baby girl in danger but his biggest weakness also gets caught up in it all. Ainsley has been by Loch’s side helping him and being a friend but she has secretly been in love with him, but knowing her friend so well any change in their status will have to come from him. Finally he comes to his senses and realizes that being in love with his best friend can be a good thing. Or can it? So many secrets, so much danger and so much love will have you reading and turning pages as quickly as possible then you’ll want to do it all over again. The characters are believable, especially with the bickering brothers, glares from mom and the adorable little daughter, Misty. 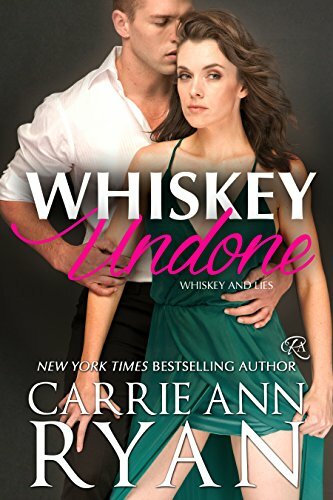 And good Lord can author Carrie Ann Ryan make her bad guys really horribly bad. This is the third and final offering in in Ms. Ryan’s “Whiskey and Lies” series. It is a standalone so you need not read the other two but … why wouldn’t you! All three are amazing reads. Violet Daugherty’s death seems an accident, a case of drowsy driving. Meanwhile, a comment made during the funeral planning for Frank Fiore has Funeral Director and reporter Desiree Turner questioning if something more sinister is going on in Verbena. Unfortunately, the rumor mill runs rampant in the small town and soon Desiree is faced with losing business, as everyone is worried they too will be accused of murder. Will Desiree risk the family business and defy her family’s orders or will she ignore her reporter’s instincts and sit this one out? 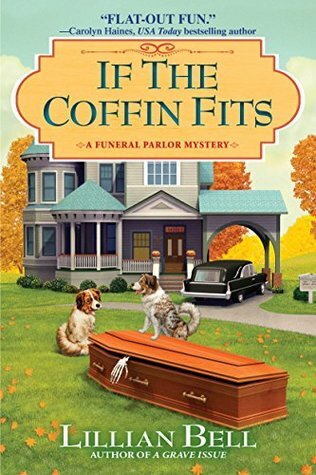 IF THE COFFIN FITS is the second book in Lillian Bell’s A Funeral Parlor Mystery series. New readers to the series can easily jump right in and enjoy the series. Lillian Bell provides enough of the history on the characters that it’s easy to follow the mystery. I was a little concerned about how I would enjoy a story featuring a funeral parlor and the funeral director but Lillian Bell pulled me right into her story line. Heck, Desiree has her own reservations about working for the family business and it is that edge that helps make IF THE COFFIN FITS so enjoyable. I like that Desiree is also a reporter as it also makes her amateur sleuthing far more believable. IF THE COFFIN FITS is an entertaining cozy mystery coupled with some fascinating side stories. The conclusion of the book leaves me with so many questions that I can’t wait to see answered in the next book! If you love cozy mysteries with unconventional jobs (like a funeral director), then IF THE COFFIN FITS may just be your cup of tea as well.